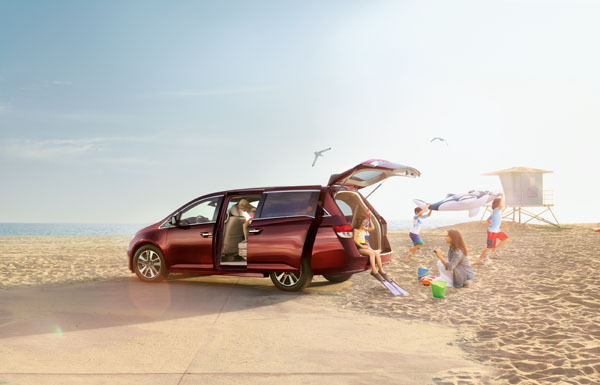 For years, the Honda Odyssey has proven to be a minivan capable of safely caring for the needs of your family. This year is no different. The 2014 Honda Odyssey continues its 14-year membership in the NHTSA’s 5-Star Overall Vehicle Score club. The 2014 Honda Odyssey minivan is a top safety-rated vehicle! In the National Highway Traffic Safety Administration’s New Car Assessment Program, the Honda Odyssey passed testing with flying colors due to three-row side curtain airbags, forward collision warning, Honda’s exclusive Advanced Compatibility EngineeringTM body structure, and a host of additional safety technologies. The Honda Odyssey is the only minivan to receive a 5-Star Overall Vehicle Score from the NHTSA and a Top Safety Pick+ rating from the Insurance Institute for Highway Safety. It is the fifth Honda to earn both distinctions. Be sure to head over to our website to view our great inventory of safe new 2014 Honda cars like the brand new Odyssey!